The best destinations for holidays with children in the North of Sardinia. 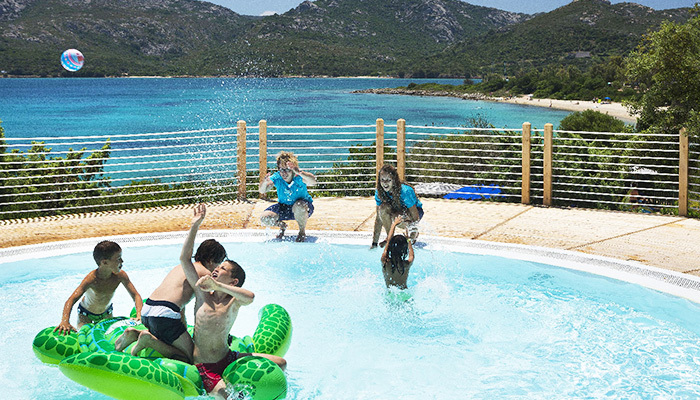 Family hotels and resorts for families from the Costa Smeralda to the Costa Rossa. Are you travelling with your children and thinking about Sardinia as a holiday destination? Here are some hints and tips on choosing the most suitable destination for the whole family. Whether you are sports enthusiasts, nature lovers and hikers or whether you are looking for relaxation and tranquillity, this Mediterranean island is a paradise that satisfies both young and old. The white beaches with shallow sandy bottoms and crystal clear waters, Nature to explore and activities dedicated to children in the family friendly hotels in Northern Sardinia are the perfect formula for successful seaside holidays with the family. 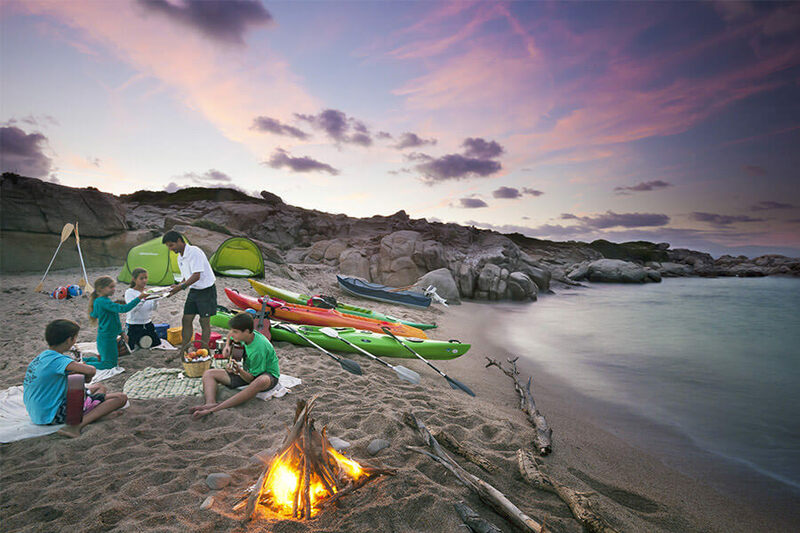 If your wish is to spend relaxation and wellness holidays with the whole family, Santa Teresa Gallura is the place for you! An oasis overlooking one of the most beautiful views in Northern Sardinia, a dream location with 5 star facilities for parents and children, the Resort Valle dell’Erica, voted by the Sunday Times Travel Magazine as the second best hotel for families in the world has a dedicated bottle feeding preparation room open 24 hours a day and a play area for the youngest guests to have fun in safety. There is Ericaland with a padded area, nap room and restaurant while for older children there is a wide range of activities in a natural setting: an agility course, a golf starter course, mini volleyball, five-a-side football, a small cableway and memorable canoeing adventures along remote stretches of coastline. And while Mum and Dad enjoy quiet moments of peace and relaxation, the children have fun and spend unforgettable holidays. Overlooking the long Li Junchi beach in Badesi is a fantastic family-friendly resort in Northern Sardinia: the Resort & SPA Le Dune. 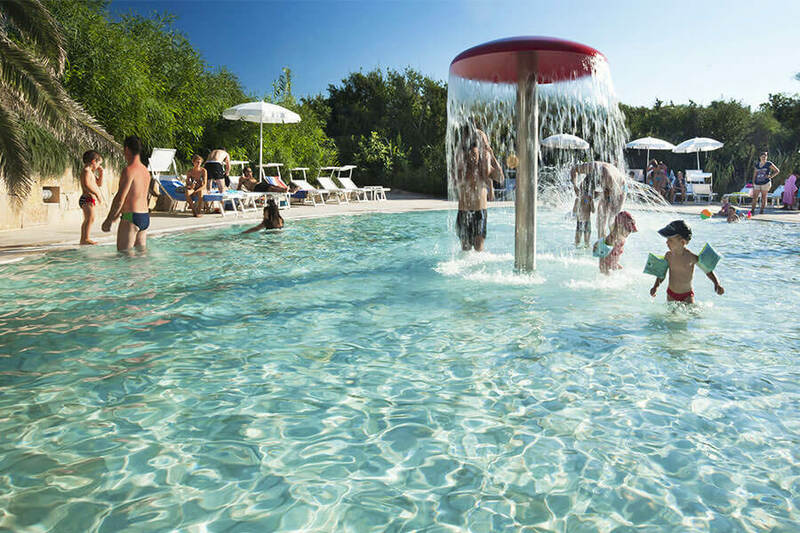 A vast park surrounded by a natural Mediterranean setting with juniper and fig trees and voted one of the 5 best hotels in the world for children by the British newspaper The Telegraph, there is a wide range of sports and activities dedicated to children and teenagers. From 18 months to 18 years old fun and games are guaranteed: in addition to the baby food preparation facility, the mini club with Duneland Castle has a restaurant reserved just for the smallest guests; the Junior Club organizes sports and recreational activities in the Fantasy Village and games playing with nature through meeting the “inseparable” parakeets (lovebirds) in the aviaries, the hen house and an organic garden. The games arcade is a meeting place for teenagers with themed nights and a fun happy hour dedicated to young people after a day spent playing beach volleyball or surfing. A village set in Nature where families find the perfect place for an unforgettable holiday in Sardinia. Sports and adventure on holiday? In Palau at the Park Hotel Cala di Lepre you can. This Hotel for families in North Sardinia is in fact a park set amidst nature which offers a wide range of sports: parents can devote themselves to jogging and outdoor activities or doing exercises in the gym with Technogym equipment, while the youngest guests together with the entertainment staff from the Palau mini and junior club can have a go at lots of activities including archery, tennis, dance school, beach volleyball and five-a-side football. If you want to experience adventurous days with the whole family, horse riding along trails by the beach is an experience not to be missed as well as kayaking expeditions or exploring the wonderful seabeds of the La Maddalena Archipelago with mask and snorkel (and expert guide). 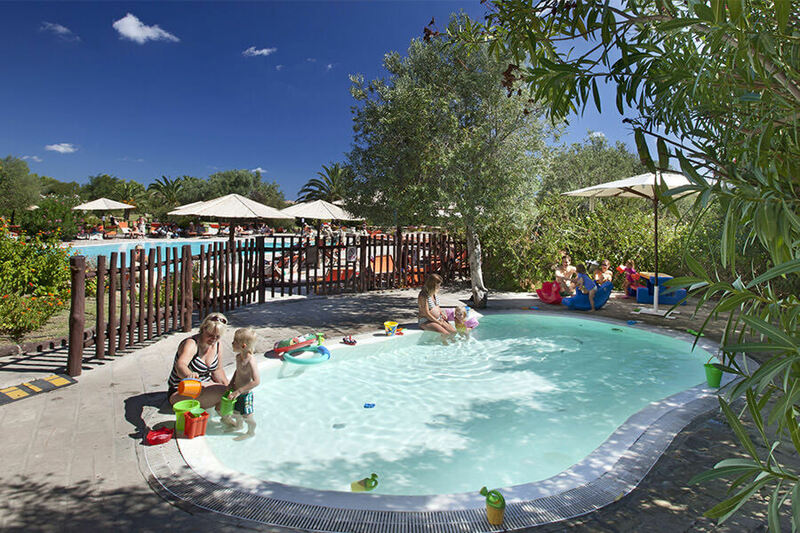 Well-known as a fashionable location, full of trendy bars and the meeting place of the international jet set, the Costa Smeralda is also a popular destination for families on holiday in Northern Sardinia. Active holidays for parents who want to enjoy the famous beaches of the Golfo di Arzachena and the elegant seaside resorts without giving up moments of fun and entertainment for their children. The Resort Cala di Falco at Cannigione is the perfect place for families who want to stay a short distance from the sea, taking advantage of the best facilities for children’s entertainment, thanks to the mini club that fill the days of the youngest guests while at night a range of family events take place in the streets of the town.